Government proposals to include a Royal palace on Corfu where Prince Philip was born has sparked off a stream of protests from around the country, mostly from residents on Greek islands who object to the sale of national heritage to pay off the country’s debts. Prince Philip, the Duke of Edinburgh, was born at the residence 90 years ago, according to museum records and residents of Corfu, one of Greece’s most popular Greek islands are up in arms over plans to include the palace in sales from state assets. A Question Mainly For The Girls, Do You Think Prince Philip Was Handsome When Younger? I always did think he was a very dashing kind of guy. Of course...he's still handsome at 90. Drop dead gorgeous as a young man and still quite handsome at 90. Watching this I finally see where Charles 'comes from'. Charles is very much his father's son. Running an estate is in Charles' blood - what he saw modeled by his father - and in an enlightened way. Family resemblance in speech patterns, too - though Charles has a distinctive sound to his voice and how he inflects - more measured with each word (influence of having been 'on stage', however short, in his university days, I guess). Why do the Queen and Prince Philip have separate bedrooms? The question is answered by Lady Pamela Hicks, HM’s cousin, in Sally Bedell Smith’s new biography of the monarch, out in February. Lady Pam explains to Ms Smith, a well-bred American: ‘In England, the upper class always have had separate bedrooms. You don’t want to be bothered with snoring or someone flinging a leg around. Then when you are feeling cozy you share your room sometimes. It is lovely to be able to choose.’ If a monarch can’t avoid flying leg syndrome, who can? 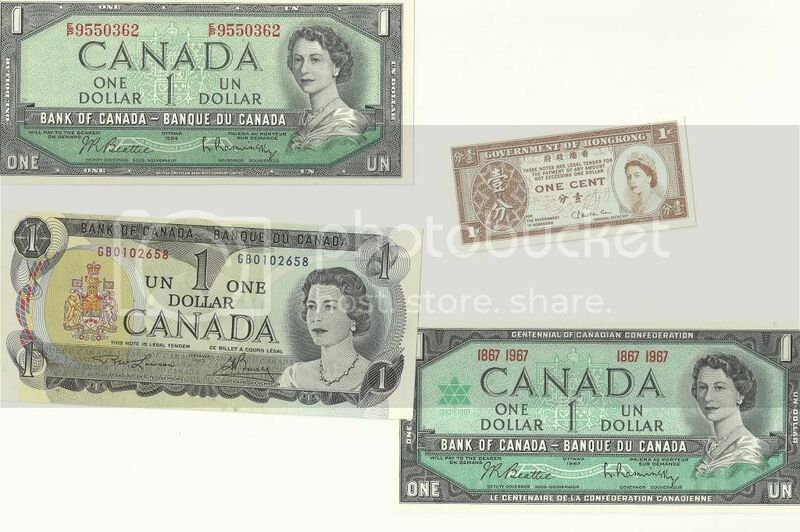 Below is my small collection of Queen Elizabeth II banknotes . Being a student prevents me from getting more expensive pieces, so if you live in the UK or one of the Commonwealths send me some! 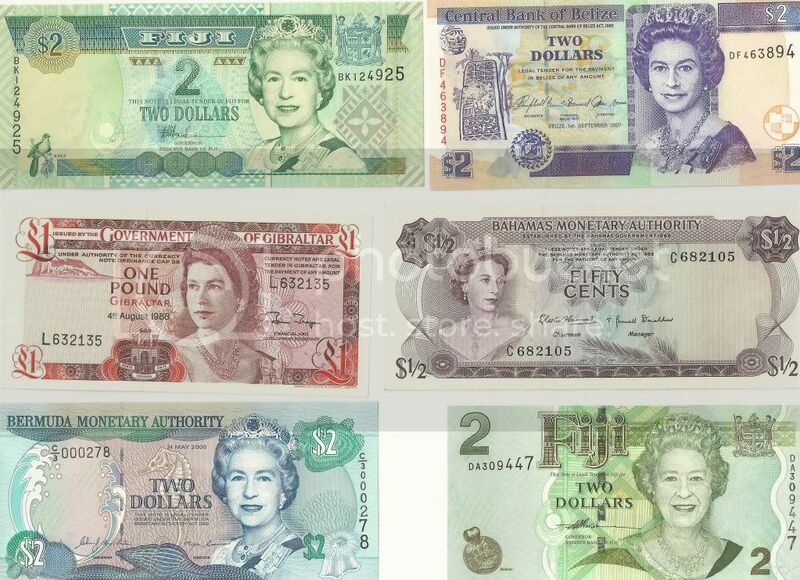 JK I enjoy seeing how the Queen's image progress throughout the years in these small pieces of art. Wow! How do you obtain these? I'd love to have some for my own collection. I bought them on ebay . Doesn't really put him in good light, to say the least. Just a question (not worth starting a whole thread for). Will Buckingham Palace receive any special decorations for the Queen's Jubilee? Will there be banners along the Thames for the boat procession? Hope this is the kind of thing you meant. They did have a banner on the balcony in 2002 which they might do again in 2012. As the Olympics are only a month or so later they may intersperse the decorations with Olympics ones but I am sure that there will be some decorations - at least along any routes that she travels that day.